My wife and I are selling our home in this tough economy, how can we make our house sell fast and at a fair price? Steve A.
Fortunately, there are many low cost projects you can do yourself and have your home stand out from others, even during the slower market. Because we are in a buyer’s market, the days of calling your agent and selling your home a few days later is not the norm. We now have to differentiate our homes from the over-saturated inventory. The good news is, it does not have to cost a lot of money to do so. Below are some unique tips to help sell your house faster and for more money. 1. One of the largest impacts that you can have when selling your home is interior and exterior painting. One of the best quotes that I have heard on this topic is from John Tenza , a professional real estate coach in Ann Arbor , “Paint is worth $20 in the can and $1,000 on the wall.” He continues to explain that homes being sold must have a clean and fresh appearance to entice the buyers when they are considering your property. Paint is one of the most inexpensive ways to accomplish this. Remember to use neutral colors. 2. Curb appeal is vital when selling a home. Ensure the landscaping is clean, pruned and trimmed to ensure the first impression is a positive one. Do you search for homes on the Internet? So do most potential buyers. The more Internet photos that “wow’ people, the more you’ll be “wowed” by the offers. 3. Pay special attention to the front door. It’s similar to the tie on a suit, meaning that it is the focal point. Ensure it’s got a fresh coat of paint. The front door is perceived to reflect the home’s general condition. 4. Remove dingy wallpaper and either replace it or re-paint the room. This will make a room look fresh, new and inviting. 5. Repair drippy faucets and showerheads and leaky toilets. 6. Pay attention to loose knobs and handles and crooked cabinet doors. Left unrepaired, these items can give the wrong impression of the home’s overall condition. For older homes, add inexpensive updates by putting new knobs on cabinets or doors. 7. Remove the clutter. Prospective buyers envision themselves living in the property, and a clean organized house will help put a good picture in their mind. 8. Replace old sinks or make repairs to make the sinks look shiny and new. 9. Make the home smell good. This can be overdone by using overpowering air fresheners, so be careful. But a batch of cookies or a cake that just came out of the oven can make a great first impression. The smell of last night's fish dinner doesn't. 10. Update light fixtures and repair any that are in disrepair. 11. Make sure that doors open and close properly. 12. Repair or re-grout ceramic tile. 13. Be creative. Throwing in a LCD TV and surround sound could make the difference if they are on the fence between two homes. 14. Locate a great agent. These agents will have a strong marketing plan and know how to execute it. They will also have a high list price-to-sales ratio and a high closing ratio. Don’t hesitate to ask for an agent's sales results. There is a lot of money at stake, and you deserve the best. Spending a little extra time and some careful planning can give you the extra edge to stand out, which will help sell your home faster AND for thousands more. By trying some of these tips, buyers will perceive your home as a value, and you’ll see the “SOLD” sign on your lawn quickly, even in today’s market. 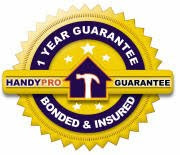 Keith Paul is a State of Michigan Licensed Builder and founder of HandyPro Handyman Service. The company has grown quickly with new franchises being awarded throughout the US. Tom Mills and his wife, Laurie have always dreamed of owning a business where they provide a needed service that offers great value to the customer and requires a high level of integrity and customer service. 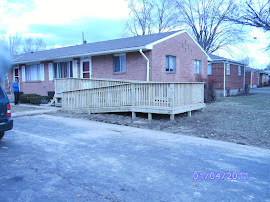 The dream became reality when Tom and Laurie Mills purchased their HandyPro Handyman Service franchise in Columbus, Ohio in November, 2010.